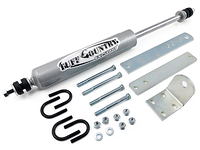 This Performance Accessories Body Lift Kit is designed to lift your Ford F150 by placing 3" blocks between the body & frame. Included are extremely durable body lift block's that are constructed of a high grade reinforced nylon along with extended body bolts, required hardware and brackets. 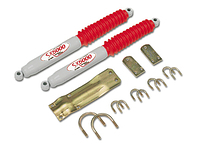 All bolts are grade 5 zinc plated for maximum strength and corrosion protection. 2. It may be necessary to drill the front two body bushing sleeves out to 1/2" for new bolt clearance. 3. Modification to the front frame horns will be required to raise the front bumper using the bumper brackets included. 4. Vehicles equipped with 6 cyl or V-6 will require replacement of lower radiator hose to avoid contact with smog pump. 5. Will not fit vehicle equipped with diesel engine. 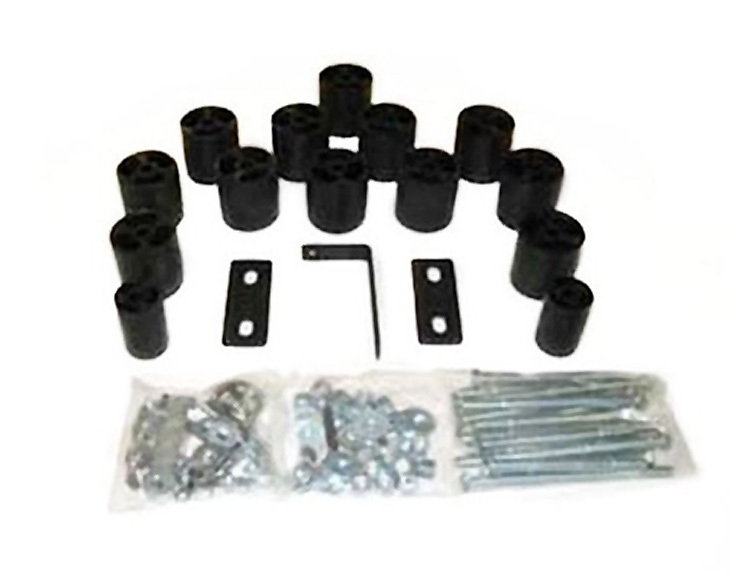 Do you guys sell rear bumber brackets with the 3 inch body lift kit for 1993 f150, if not where can i get them? 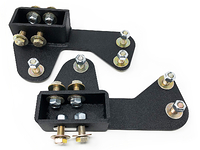 Performance Accessories does not off a rear bumper bracket for this kit. 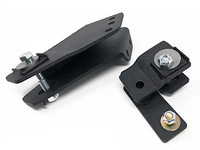 The older ford trucks do have some adjustment on their factory bumper brackets provided by their slotted hole design. 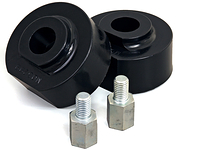 How does the front bumper bracket, for a 1994 Ford F150, get adjusted when i buy the 3" body lift? According to Performance Accessories instructions, to raise the front bumper, the bottom of the frame must be notched about 2 1/2ÃƒÆ’Ã‚Â¢ÃƒÂ¢Ã¢â‚¬Å¡Ã‚Â¬Ãƒâ€šÃ‚Â up and 3ÃƒÆ’Ã‚Â¢ÃƒÂ¢Ã¢â‚¬Å¡Ã‚Â¬Ãƒâ€šÃ‚Â back. To take a look at the full instructions click on the link in the tech specs section of this listing. Was easy to install everything. Quick and cheap if you do it yourself. Rides great for being a three inch body lift. good kit took me a lot longer than expected to install this kit. Overall a great kit. Nothing bad to say but how long it took me to install. nothing bad for me to say about this kit. I am really liking it. looks nice on my truck and still has a rice ride even with the three inch lift.